There is nothing in the world quite like a Lamborghini. 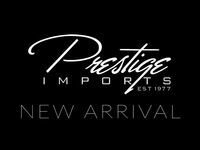 Prestige Imports is very happy to announce the arrival of several Lamborghini models in its North Miami Beach, FL inventory, including the 2017 Lamborghini Aventador Superveloce Roadster. When Lamborghini crafted the Aventador family, the goal was to reinvent sports cars; and they have done exactly that. The Roadster is one of the best sports cars ever made for a long list of reasons. One of the many reasons is the 6.5-liter V12 engine that flaunts 700 horsepower and 508 pound-feet of torque. All four wheels receive unearthly power at the discretion of a seven-speed, single-clutch automatic transmission. This engine is truly something that must be experienced in person. The Aventador Superveloce Roadster uses ultra-lightweight carbon fiber for its air vents, rear spoiler and bumpers for a lighter and more efficient ride. On the inside, Lamborghini is proud to say that high-tech features such as a navigation system and a soundproof cabin will not be missed. In exchange, the driver will have a much more intimate connection with their car, as the interior of the Roadster is essentially its bare structure. At the same time, however, one will still be able to enjoy the high-quality luxury of the leather seats and other premium interior furnishings. As for actually driving the Roadster, front and rear magnetorheological push-rod shock absorbers make the ride unbelievably smooth from start to finish. Similarly, the Lamborghini Dynamic Steering system assists the driver at low, medium and high speeds, ensuring their ability to maneuver safely and securely in virtually any type of driving conditions. Not only is the 2017 Lamborghini Aventador Superveloce Roadster in North Miami Beach, FL one of the most powerful sport cars ever built, it is also one of the most highly advanced. So, who’s ready for a test drive?